The best gets even better with GoPro's new Hero4 Black Edition. This review was published on November 20, 2014. Since then, this product may have been discontinued or replaced. Pricing and availability may differ from what is stated in the review. While the traditional camera market is as competitive as it's ever been, the action camcorder market begins (and mostly ends) with just a single name: GoPro. 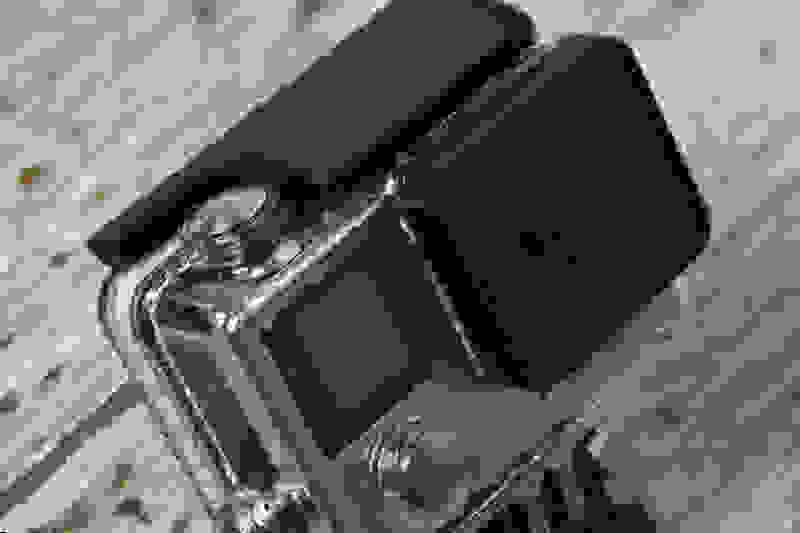 While Sony's Action Cam offerings are excellent and well-priced, the relentless GoPro marketing machine has given the once-upstart company unrivaled hegemony when it comes to compact, durable, multi-purpose camcorders. Last year, GoPro took a large step forward with the GoPro Hero3+ Black Edition. It was the best GoPro to date, boasting improved 1080p video quality and a 15fps 4K video mode. This year, GoPro upped the ante even more with the introduction of the GoPro Hero4 Black (MSRP $499.99), improving video quality even further while debuting a true 4K/30p video mode. Bringing Bluetooth connectivity and a new processor to the table, GoPro is also offering double the frame rates of its previous flagship models. Throwing in everything but the kitchen sink, GoPro also entirely redesigned the audio system to capture high fidelity sound. With GoPro capturing the Best Action Camera in the 2013 Best of Year Camcorder awards, the new Hero4 Black has some big shoes to fill. Before we crown the newest GoPro "King of Action Cams" yet again, we hit the labs to make sure it can live up to its famous predecessors. There isn't a lot to say about the design of any GoPro. They're minimalist in nature and—with a few exceptions—if you've seen one, you've seen them all. If you haven't seen or used a GoPro before, it's simple to explain: they're small boxes with a wide-angle lens, small removable batteries, a small monochrome LCD on the front, and an included waterproof plastic case. The case can be used with a variety of mounts, letting you attach it to various surfaces and equipment on your adventures. The whole point of GoPro cameras is to make capturing video as simple as possible, so controls are kept to a minimum. To that end, the Hero4 Black–just like its predecessor–has three buttons in total. One button servers as a power button/selector on the front, with a large record button found on top of the camera. The last button is on the side, granting access to the settings. It's about as spartan a control system as possible. GoPros even come with a "one button" mode, where all you have to do is press the record button and let the camera do the rest. Physically, there's not much else to the GoPro. 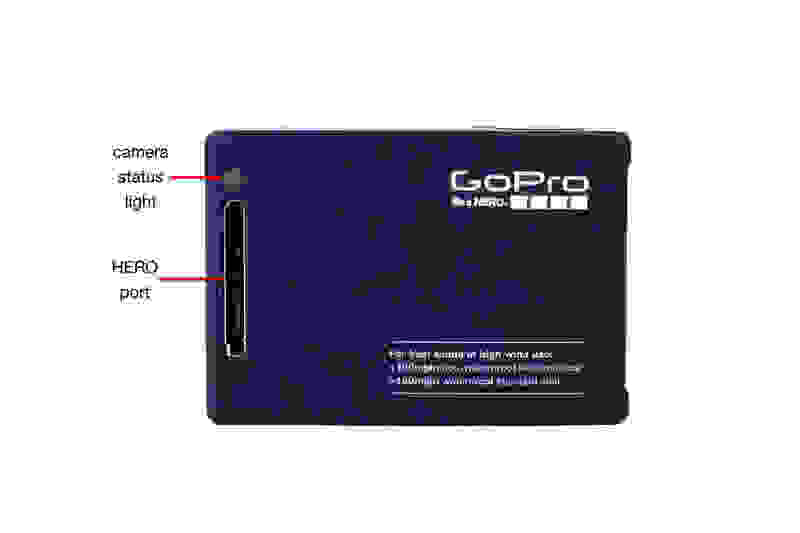 There's a small door on the bottom for the battery, while GoPro's Hero port for accessories is located on the back. On the right side you'll find three more ports, including a mini USB for charging, HDMI, and the microSD card slot. 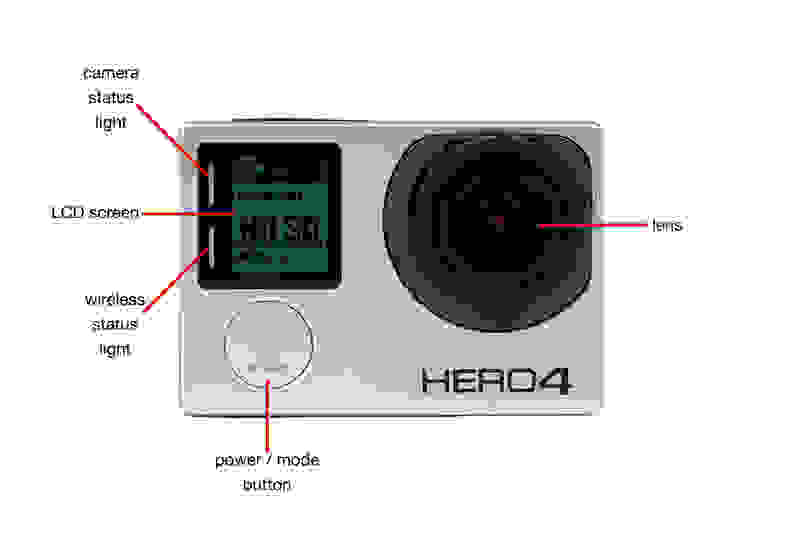 That is basically it for the GoPro Hero4 in terms of design and layout. It seems like the only real change from the Hero3+ is the WiFi button changing functions to a settings button—that's it. It's not surprising, then, that there's not much difference in weight between these cameras. You're definitely not going to notice the extra 16 grams with a camera this light. The only people that this might matter to are people using them on drones—but even then the difference is likely minimal. The GoPro Hero4 Black is the most advanced Hero to date, sporting a new processor which allows you to shoot up to 4K at 30 frames per second. That replaces the 4K/15fps mode on the Hero3+, which was nice but not really useful for video. It's worth noting that this faster processor did nothing to improve burst rates for stills–30 fps at 12 megapixels—but it's still plenty fast. 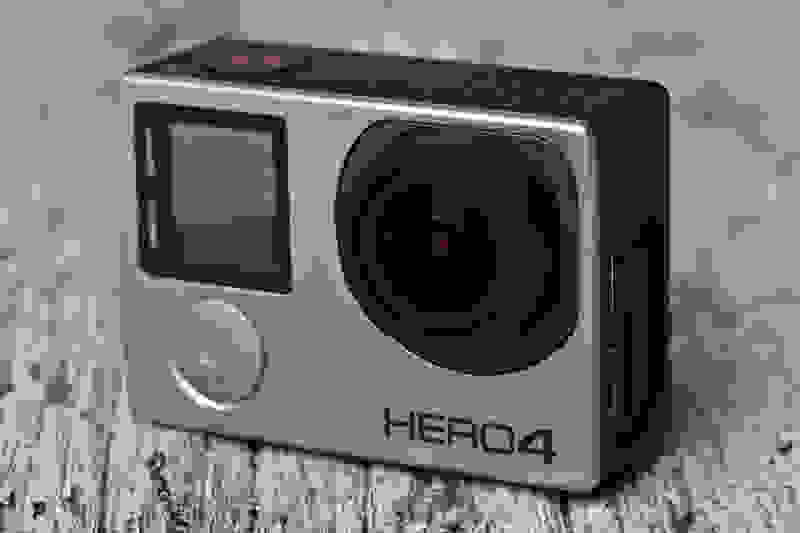 In terms of HD video quality the new GoPro Hero4 Black records at a higher bitrate than any other GoPro to date. Compressing video at 60Mb/s as opposed to the Hero4 Silver and Hero3+ Black compression of 45 Mb/s, the Hero4 Black delivers better fine detail with less artifacting, frequency interference, and trailing. Though the relatively low quality of the lens means you still shouldn't expect cinema-quality video, you should see an uptick in quality across the board. That really pays dividends in a few key areas. The 4K video is much sharper than HD video from other cameras, including previous GoPros. We measured resolution up to 1,000 line pairs per picture height, with even the best HD-capable cameras topping out at around 700 LPPH. The GoPro also rendered motion extraordinarily well, especially with the 1080/120fps mode. It's a step down in sharpness compared to 4K, but the improved motion performance is worth it for capturing moving subjects. GoPros are meant to follow you just about anywhere, and the Hero4 is no exception. When lights get dim, however, the Hero4 still struggles. The Auto Low Light mode is a feature that automatically adjusts frame rates according to lighting conditions for enhanced low-light performance. This was intended to improve the low light sensitivity on the new GoPro, but it simply didn't work in our camera lab's conditions. We saw slightly better low-light results from the previous GoPro Hero3+ Black, but your mileage may vary. 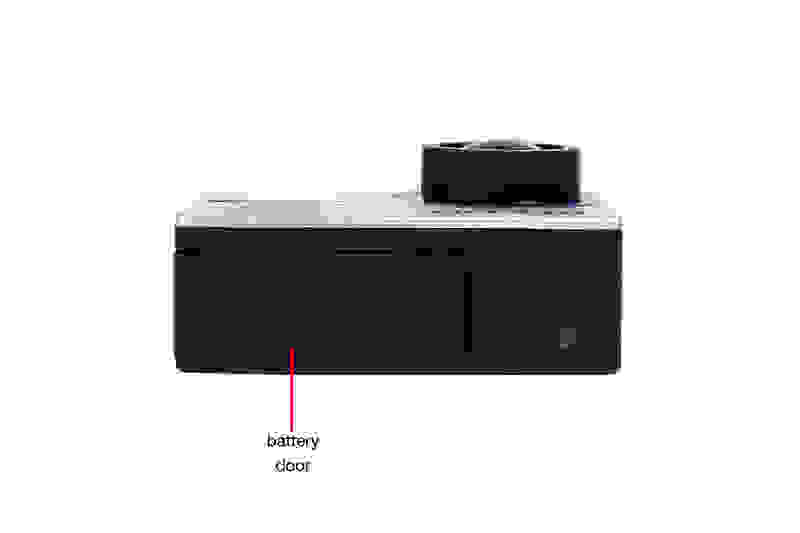 The shutter release on top of the Hero4 Black can be used in "one-button mode" to turn on and start shooting quickly. Another front where the GoPro Hero4 Black dropped the ball was battery life. Battery life is easily the most common thing people complain about on GoPros and it isn't improved with the Hero4. The battery capacity is essentially the same—dropping from 1180 MaH to a 1160 MaH—but the redesigned battery means the Hero4 cameras aren't compatible with any older GoPro batteries. If you're a GoPro user making the jump to a higher model, you'll have to buy new spares. Where that hurts the most is using those tantalizing new features. For example, shooting 4K gives users about one hour of shooting before you need to swap batteries. GoPro did make changing cells easier by employing a DSLR-style door on the bottom, instead of having to remove accessories and the back door. As always, GoPro offers a laundry list of resolutions that you can choose from. The Hero4 Black can shoot 4K at 30 fps–a huge upgrade from the 15 fps that the Hero3+ was capable of. Furthermore, you have 2.7K (50, 48, 30, 25, and 24 fps) 2.7K 4:3 (30 and 25 fps), 1440p (80, 60, and on down to 24 fps), 1080p (120, 90, 60, and on down to 24 fps), 960p (120, 60, 50 fps), 720p (120, 60, 50, 30, and 25 fps), and even WVGA (240 fps). It also allows you to use SuperView–an extremely wide viewing angle–at 4K, 2.7K, 1080p, and 720p. On top of video, you have the ability to shoot 12-megapixel stills in a variety of ways, including a few burst modes and time-lapse settings. Additionally, the Hero4 Black can and capture video and timelapse photos simultaneously. 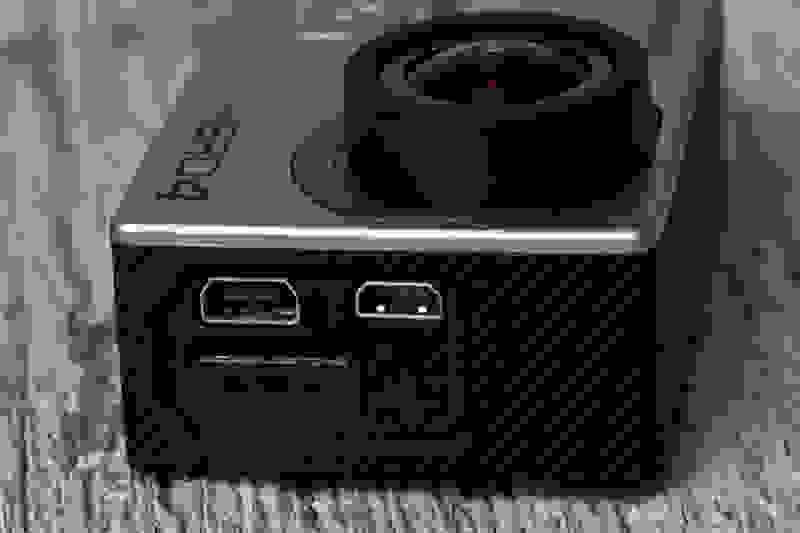 This is available in intervals of 5, 10, 30 and 60 seconds at 1440p, 1080p, and 720p. There is also Night Lapse which allows you to capture a series of photos at specific intervals and exposure times. You can choose exposures of 15, 20, 30 and 60 seconds every 2, 5, 30 and 60 minutes. The Hero4 Black also offers ProTune options, giving you more flexibility when editing your footage. The Hero4 Black also offers ProTune options, giving you more flexibility when editing your footage by allowing you to shoot in a higher quality—and with less compression. It also gives more control, with the ability to adjust settings including color, ISO limit, white balance, sharpness, and exposure. This makes it easier to incorporate footage from multiple cameras into a workflow, and exposure value compensation can be adjusted to control brightness. The ISO selection also gives you more control over brightness and noise–with settings ranging from ISO 400 to 6,400 for video and 100 to 800 for stills. ProTune has only been available for video until now, giving shooters flexibility similar to RAW files on DSLRs. The Hero4 Black also comes with Bluetooth connectivity in addition to the built-in WiFi. WiFi makes a return and gives the GoPro the connectivity everyone has come to expect. The Hero4 Black also comes with Bluetooth connectivity in addition to the built-in WiFi and is compatible with both the GoPro App and Smart Remote. The GoPro App allows you to control your camera remotely using your smartphone, complete with live video. The optional Smart Remote (an update to the Wi-Fi Remote which was bundled with the GoPro Hero3+ Black) features an increased battery capacity and allows you to control multiple GoPro cameras from distances of up to 600 ft.
GoPro is once again the go to for the action camera market. GoPro is not just an action camera, but it has been the action camera of the last decade. The thing that GoPro does best–besides put out the hardware to get results–is they have created a lifestyle to go with their product. This alone will keep many people from going to another action cam, even if it doesn't necessarily help you shoot anything. Many companies have tried to rival what GoPro has done, but simply can't capture the same formula of quality, versatility, and an undeniable cool factor. 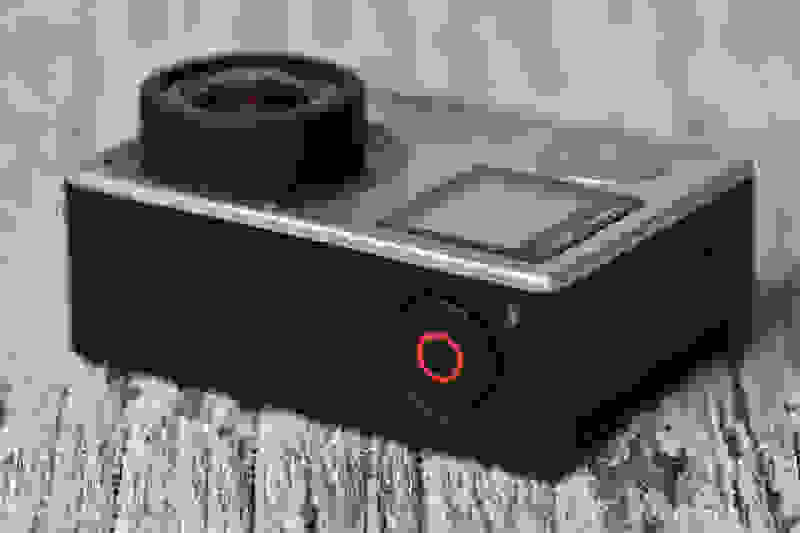 The Hero4 Black uses the same thin case design as Hero3 models. If the GoPro Hero4 Black has a problem it's that other, older GoPros are still widely available and generally just as good for most users. While the new GoPro Hero4 Black did upgrade its processor and redesigned its audio, the additional features aren't necessarily essential for most people. Unless you are looking for pro-quality results, need 4K/30, or want to capture motion at 1080/120p the Hero4 is simply overkill; the Hero3+ Black is nearly as good, with slightly better performance in low light. All and all, this is still the best camera GoPro has ever made. It is once again the camera to beat in the action camcorder market, with the durability, versatility, and image quality we've come to expect from GoPro. Sony is quickly making up ground in the action camera market, but the Hero4 Black shows why every lunatic with a camera on their head goes for GoPro before anyone else. Tour of the front of GoPro Hero4 Black Edition. Tour of the bottom of GoPro Hero4 Black Edition. Tour of the sides of GoPro Hero4 Black Edition. Tour of the back of GoPro Hero4 Black Edition. Tour of the top of GoPro Hero4 Black Edition. 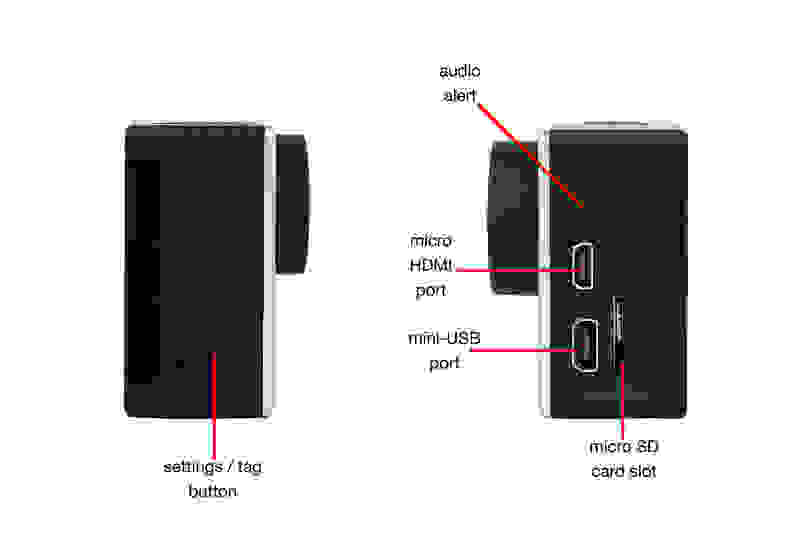 Micro HDMI, mini-USB, and micro SD card slot are all located in the covered side port. 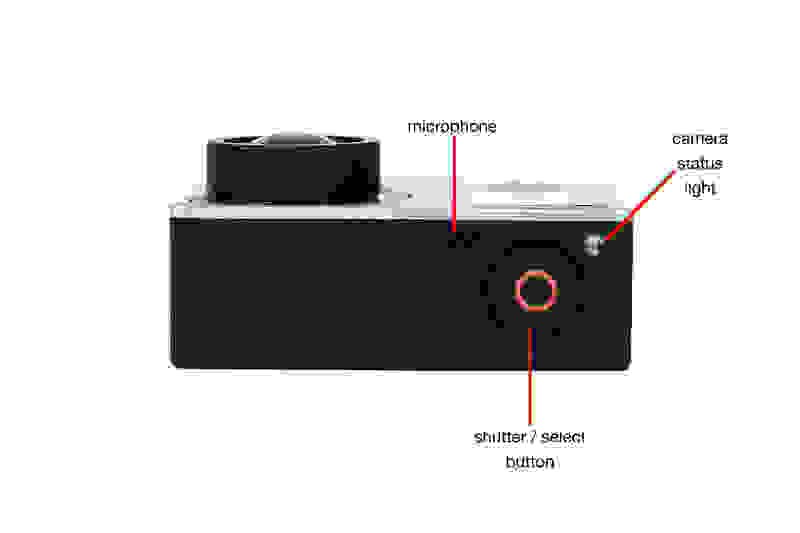 The power button on the front of the camera also doubles as a selector. 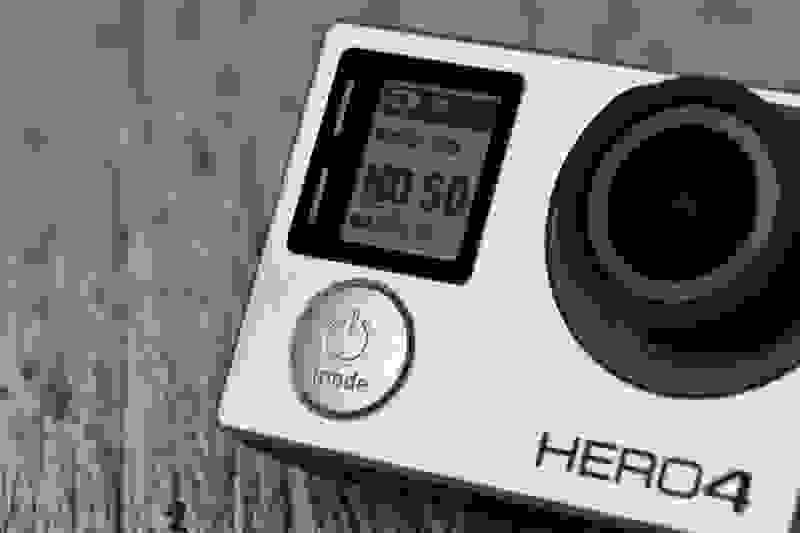 The front of the Hero4 Black has an LCD status screen to view modes and settings.